In light blue with a black interior. In 1960, the boss of Autocars in Israel had a plan to build a sports car for the US market to boost Israel's exports. 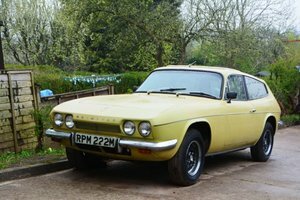 He visited the Racing Car show and on seeing a body from Ashley and a chassis from Bellamy, persuaded Reliant to combine the two and fit a Ford Consul 1703cc engine and gearbox to create the Sabra Protoype. The Protoype was first shown at the World's Trade Fair in New York in 1961. It returned to Reliant and was parked up in a corner of the factory. Sabra, a Mediterranean cactus, production started immediately. 162 LHD Sabras were built by Reliant and exported to America. Autocars made a further 171 Sabras in Israel, most of which were also exported. After a while, Reliant launcehd their own version, named the Sabre which can be found with four and six cylinder engines. 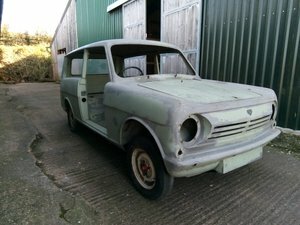 A Reliant employee persuaded the company to sell the Protoype in July 1961 and he registered as a Sabra Special with the registration number CBF 941 which it retains today. The car was never rebuilt and it passed through three further owners without much progress. Keith Healey bought it in 1984 and undertook a thorough three year restoration including painting it in its current colour which is very close to the orignal. It moved on again and in 1999 was converted to RHD a five speed gearbox was fitted during a rebuild. The current owners, serial Reliant people, acquired the Sabra in 2010, upgraded the interior and commissioned a quality respray in 2014 as the paintwork was a little weary. The car is now in just about the best condition that it has been during its life. 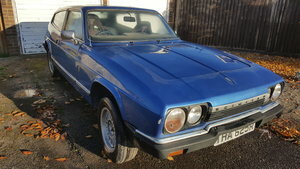 It has new wheels and tyres, the hood is as new and the interior is immaculate. The bodywork is unblemished. The mileage shows about 15,000 which is believed correct. 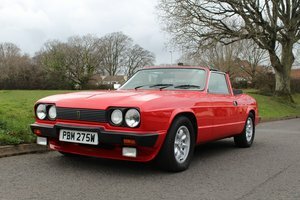 A unique car and a fascinating part of Reliant's history. 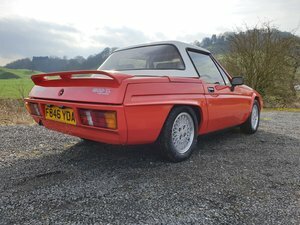 This car was sold for £10,000 in 1989 and a Sabra went realised 40,000 USD at auction in the USA last year so this car, the very first Sabra, represents great value!